For years, industries around the globe have been practising manual monitoring of electrical data- involving individuals working at regular intervals to track usage and consumption readings and notifying in case of major abnormalities. In recent times, there has been a shift from manual to automated monitoring- with industries switching to automation at an exponential rate. The change has been made possible with the help of a massive technological breakthrough in the field of automation and Internet of Things (IoT) which took place in the beginning of the century, leading to massive advancement in the field Electrical Maintenance in industries and commercial buildings. Obtaining automated monitoring alerts from SMS or mail makes sure the load parameters are maintained and optimized within the utility. This ensures in improving the life and reduce the downtime in a plant. The monitored results help keep a track on the Energy consumed by each plant which provides the idea of the number of units consumed which further helps in maintaining the unnecessary consumption thus avoiding the penalty of Maximum demand bar set by the industry. The real time accurate data also helps in maintaining the Power Factor nearest to unity by alerting the user at good time. Resolving the issue ensures that PF is improved while also ensuring that the company is now eligible for rebates too. Maintenance like toggling the capacitor panel on or its replacement if required, are carried out. Consumption of each unit or plant or department is also obtained, giving a wholesome picture of consumption and enabling corrective action where required. Human Error is commonly defined as a failure of a planned action to achieve a desired outcome. Performance shaping factors (PSFs) exist at individual, job, and organizational levels, and when poorly managed can increase the likelihood of an error occurring in the workplace. When errors occur in hazardous environments, there is a greater potential for things to go wrong. Human errors in reading in manual reading can cause unaccounted losses in analytics. A human cannot possibly be taking multiple readings at the same time and trying to do so will only increase the errors. Automated readings on the other hand can get the readings from every meter of every plant at the same time giving precise readings, avoiding all the possible errors. It also reduces the manpower required for the task. We have all in our own small ways started looking for ways to move from a reactive or preventive approach of maintenance. Predictive Analytics or PDM plays the dual role of a monitoring device while also serving as a smart way to alert the user for possible issues a particular asset can have in the future, considering past and present usage trend. It provides not just predictive insights on several factors but also a solution for all those listed issues which make the tech a boon for all industries and commercial enterprises. Corrective maintenance is the “wait till it breaks” or the “plan not to plan” approach. This is sometimes the structure (or lack of structure) adopted in some facilities. Relying on a reactive maintenance is like flying blind. While many people are migrating to predictive maintenance, 55% of maintenance activities in the average facility are still reactive in nature. As facilities grow and become more organized and budget conscious, they typically switch to a preventative-maintenance schedule. These approaches are based machine run time and deliver procedures that are designed to detect, preclude, or mitigate degradation of a system (or its components). An effective preventive-maintenance program helps deliver savings of as much as 12% to 18% on average. The two largest expense line items on a facility’s operating budget are typically utilities and maintenance. Facility managers of office buildings, manufacturing plants, retail buildings, schools, hospitals or any other large premises, ultimately face the challenge of reducing both. Typically, budget crunches lead facility managers to defer maintenance that is nonessential. However, a policy of continued deferred maintenance may result in higher costs, asset failure, and in some cases, safety, health and environmental implications. 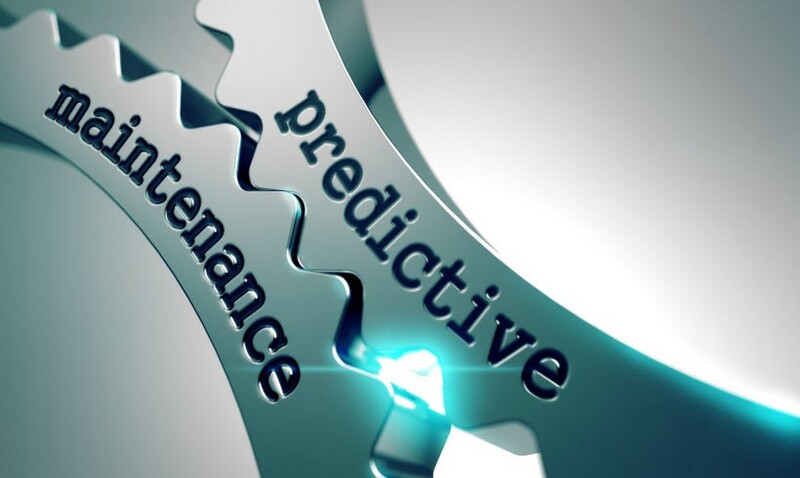 Managers who pilot predictive maintenance are sure to understand the scope of the problem and the extent of the opportunity in a short time itself. A recent study shows that a timely HVAC maintenance can in itself ensure cost reduction of 5–40% reduction in energy costs. Also, malfunctioning can increase energy costs by 30–60%. And often, these inefficiencies result from the simplest of problems- ones that are often ignored. As predictive Maintenance slowly gains grounds world over, energy wastage and spends are bound to see a downward trend.